Photo courtesy of Google Earth. 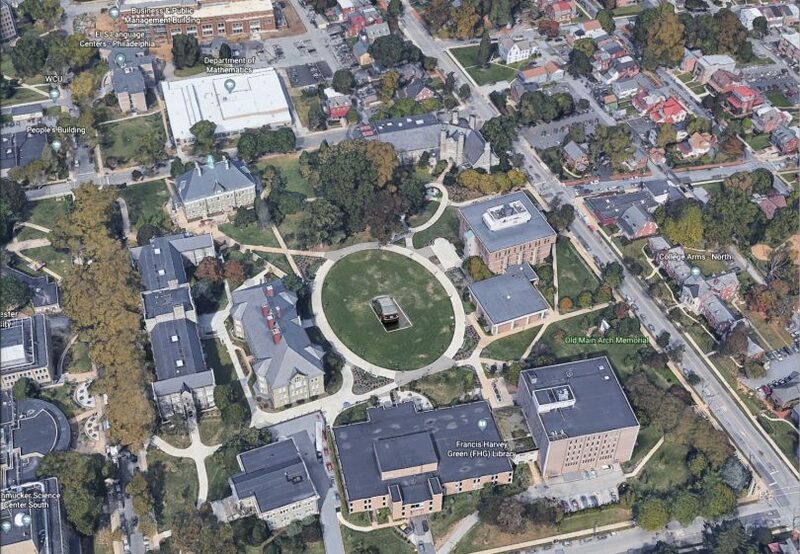 It’s no secret that the parking situation at West Chester is, to quote Donald Trump, “SAD!” Your chances of getting a spot are equitable to the chances of the milkshake machine at McDonald’s not being broken. However, thanks to recent action by the university, you might have better luck finding a temporary dwelling for your dad’s old beater. The university will be adding a single parking space to the middle of the Academic Quad, conveniently located near Main Hall and the library. Reports say that the spot will be marked with neon spray paint, and will be size of the average Ford Fiesta. Administration officials are anticipating this spot to be in high demand and have started the bid at $19.32 an hour. Additionally, they have announced a series of criterion to determine eligibility for the spot. Interested students must be a second year Sagittarius dual majoring in French and mathematics with a mother whose middle name is Karen. Those who qualify will participate in a bumper car style battle for the spot commencing at dawn. Students will need to sign a waiver accepting responsibility for any loss of life or limb. Any inquiries can be directed to Diner Dan.